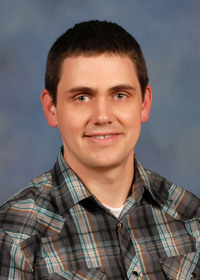 The information presented on this page was originally released on April 21, 2014. It may not be outdated, but please search our site for more current information. If you plan to quote or reference this information in a publication, please check with the Extension specialist or author before proceeding. 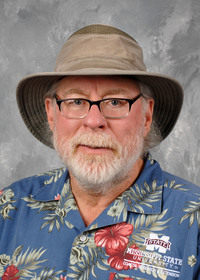 With the chance of any more spring freezes getting lower by the day, the typical home gardener is out looking for plants for when the summer temperatures start to rise. Annual flowering vinca is one that really brightens up our Mississippi summer landscapes. Annual flowering vinca has attractive foliage and gorgeous flowers. The foliage is a glossy, dark green and has a prominent rib in the middle of the leaf. This coloration makes for a fantastic background to show off its purple, red, pink and white flowers. In 2007, the Titan series was selected as a Mississippi Medallion Winner, and these plants have lived up to that designation. Titan has an upright growth habit, reaching 16 inches tall and 12 inches wide. Its flowers are bigger than those of other annual vincas. This series has 11 flower colors, including apricot, dark red, pink, white, blush and lavender. 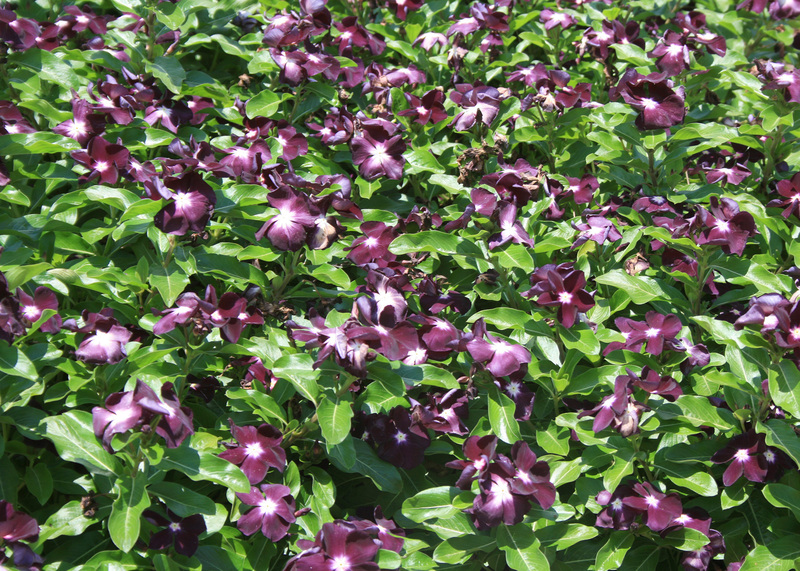 In 2012, All-America Selections introduced the Jams ‘N Jellies vinca, whose flowers are a velvety, deep, dark purple. The nearly black flowers have a bright white eye. These plants have performed very well in the Mississippi State University trial gardens in Poplarville and Crystal Springs. When I started using flowering vincas in my landscape many years ago, I liked their clumping growth habit but thought they seemed a little too tall. I wanted low-growing, spreading growth that would act as a colorful ground cover or as a flowering spiller plant in hanging baskets. It seemed that the breeders read my mind when the Mediterranean series was introduced. This is a spreading type in colors of dark red, peach, strawberry and hot rose. I really appreciate the fact that these plants only get 6 inches tall but spread to 30 inches wide. The Nirvana Cascade flowering vinca is a trailing variety that I have been amazed with and growing for the past couple of years. The flowers are similar in size to the Titan series, and their flower petals overlap, creating a very full-looking bloom. The color selection is typical of flowering vinca with solid red, violet and white colors. Cascade Pink Blush has pastel pink petals and a dark eye, while Cascade Pink Splash has light-pink petals with a burst of flamboyant dark pink in the center. Vincas always flower and grow best when planted in the full sun in raised landscape beds. Raised beds provide optimum soil drainage, which is important because the flowering vinca develops root rot problems when it has “wet feet.” Wait to plant your vinca when landscape soil temperatures have increased. Planting in cool soil also encourages root rot problems. These plants are heavy feeders, so be sure to incorporate a quality, slow-release fertilizer at planting. Feed monthly with a water soluble 20-20-20 or 20-10-20 fertilizer to keep the flowers blooming. 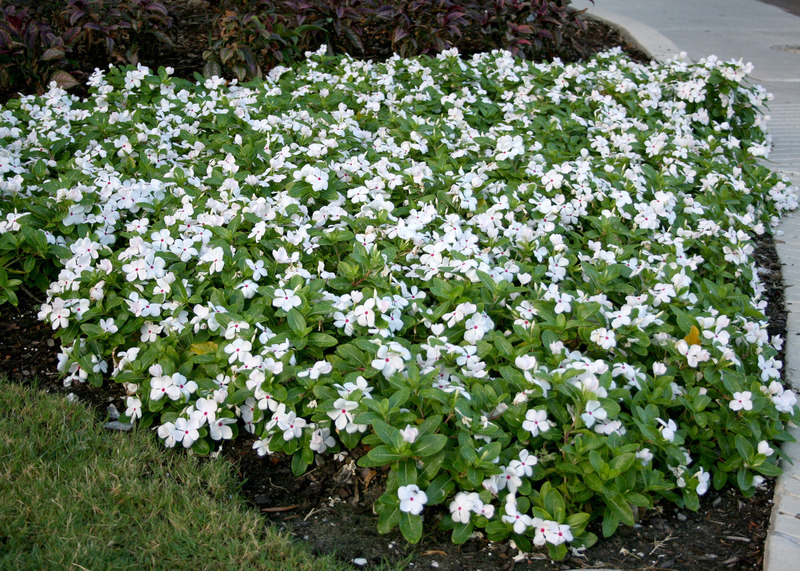 Annual flowering vincas are drought tolerant once established, but try to maintain consistent soil moisture. Always be ready to provide supplemental water during the summer. Drip irrigation is a great asset during dry periods. The ability of annual flowering vincas to tolerate hot and dry conditions makes these plants good choices for container plantings. 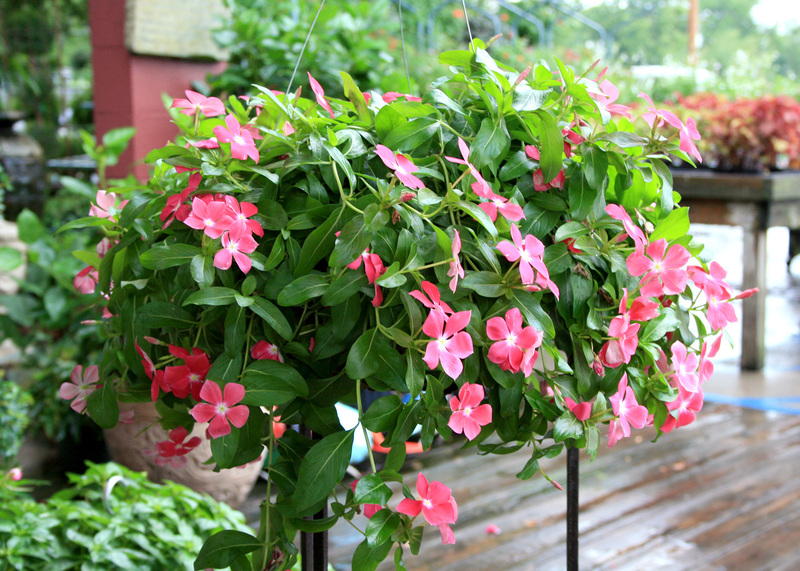 In hanging baskets, try vincas with a spreading growth habit to spill over the basket edge. When growing in containers, always use a quality, peat-based potting media that is well drained and will maintain adequate moisture. Also, be sure to feed weekly with a water-soluble fertilizer to keep the plants performing at their peak.